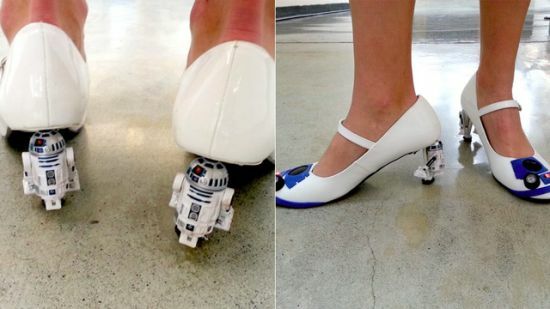 After ruling the geek world, the Star Wars R2-D2 has entered the fashion world with DIY R2D2 high heels with a bang. 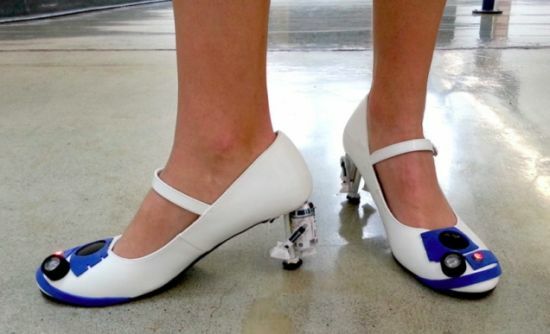 Developed by Instructables artist Mike Warren, the latest pair of shoes replaces wide heels with R2-D2 heals, supported and strengthened by a steel bolt. Adorning the toes with lenses, blue accents and a blinking red LED, the droid shoes are sure to strengthen your strides into the fashion world. 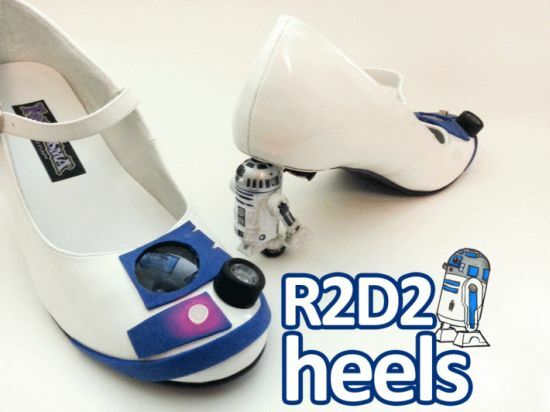 To create your own R2-D2 heels, you need a 3V coin cell battery, two identical R2D2 toy action figures, white shoes in desired shape and size, a SPST (or SPDT) switch, two, 5mm red blinking LEDs and two 5mm LED holders, together with two mini flashlights – lenses, 1/4″ – 20 threaded rod, two 1/4″ – 20 hex nuts, 2-3mm blue foam sheets, glasses or lenses, thin-gauge wire and heat-shrink tubing. Simply follow the instructions at Instructables and let go your soldering and electric skills.